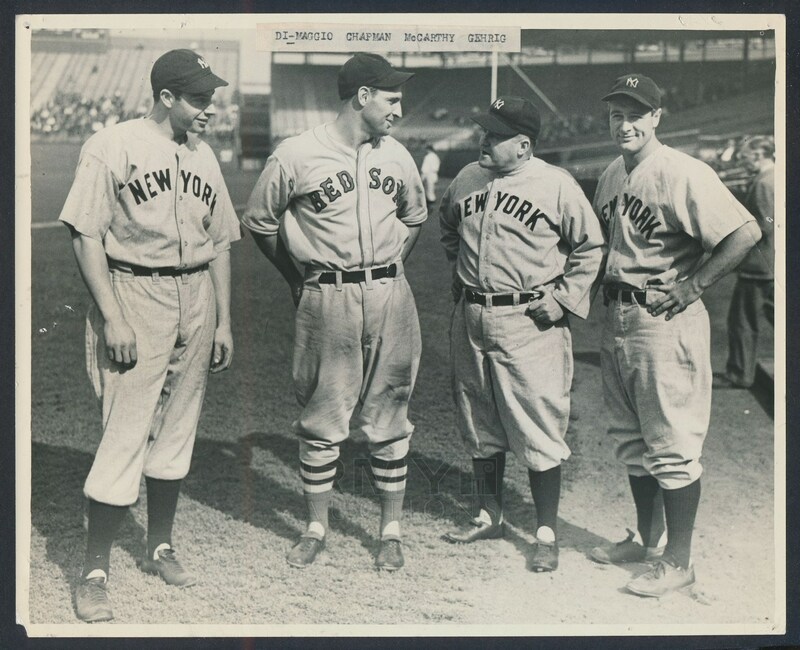 Large 1937 photograph of young New York Yankees phenom Joe DiMaggio as he poses on the field with manager Joe McCarthy, veteran slugger Lou Gehrig and former Yankees star Ben Chapman now with the Red Sox on Opening Day. This would be the last healthy Opening Day for Gehrig and DiMaggio would be asked to take the team to the next level alone. 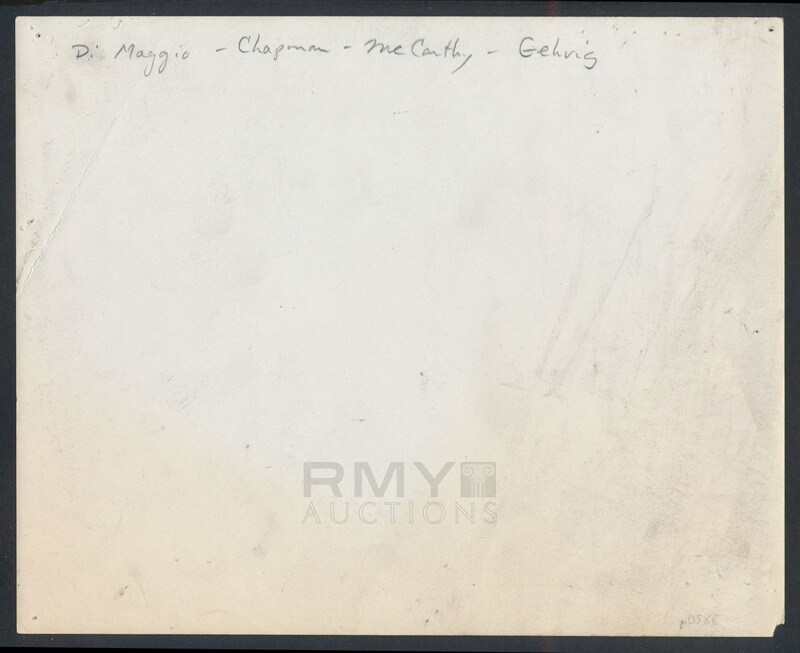 A full 8X10 image in nice shape with a small paper caption added to the top for publication, the photo displays well with note to pinholes at the corners for display. A rare image which is a fantastic piece of baseball history.